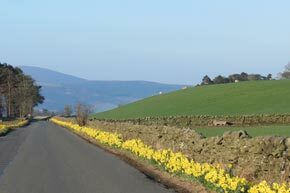 The Campbell family have a passion for the land that they farm on. They see it as their responsibility to be custodians and maintain the land. Glenrath Farms has implemented a variety of environmental improvements. Projects have included ways to minimise and reduce energy consumption and transportation costs. 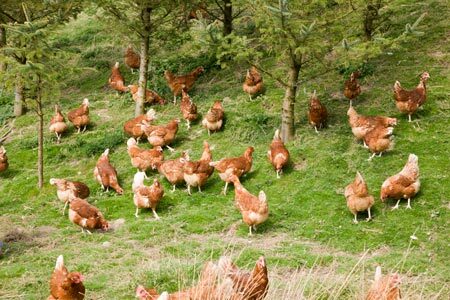 Glenrath Farms are able to maintain a low carbon foot print as 90% of their eggs are produced within 20 miles of their packing facility. 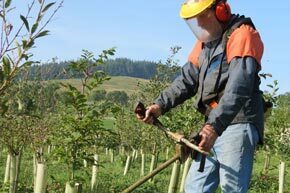 Trees are important to our environment, every year we plant trees to help maintain our woodland. Last year we planted 20,000 trees at different locations. Glenrath Farms has recently introduced plastic egg trays. Plastic trays are not only environmentally friendly but help to improve the bio-security on the farms and have a long lifespan in comparison to the pulp trays. 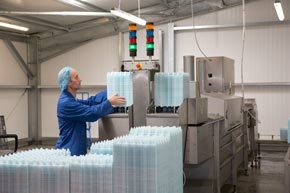 Glenrath has also launched new plastic egg packaging (rPTE) which is made from recycled plastic bottles. The packaging reduces egg wastage throughout the supply chain. Chicken manure is an organic by-product from our farming practice. Manure is a sustainable fertiliser that provides great growth to grass and crops. Our fields are maintained with this natural fertiliser.